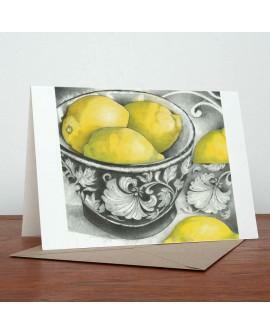 Greetings card by artist Margaret Taylor. Comes with envelope and safely sealed in a cellophane wrapper. Blank inside for greetings and correspondence.